Actually, there isn’t any ironing involved for me at this stage, but when it comes to preparation it’s just a question of getting on with it. So, instead of just talking about the new project I’ve actually started it. 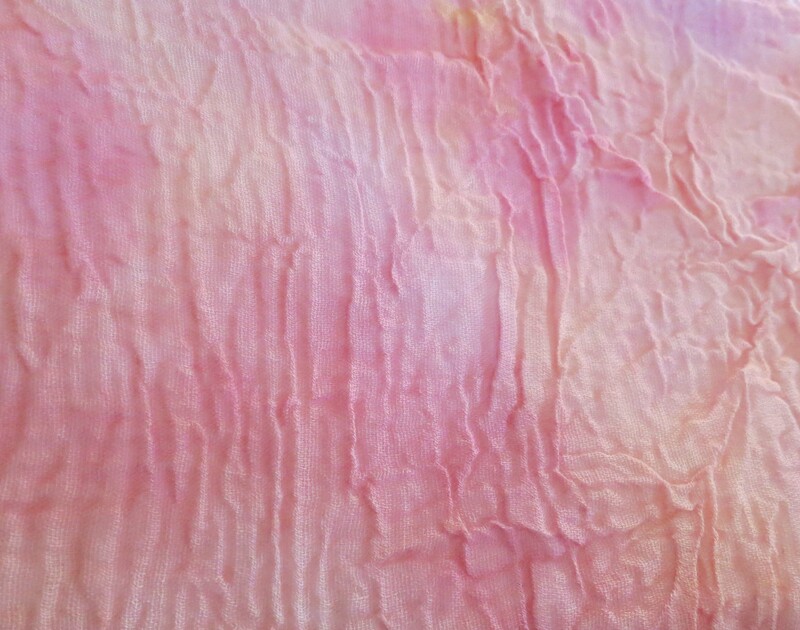 It’s a piece of wrinkled and crinkled cotton, a very fine cotton, and the texture is as a result of the dyeing process. At the moment it’s just as I want it. It won’t stay that way for ever, you will see how it changes way down the line. 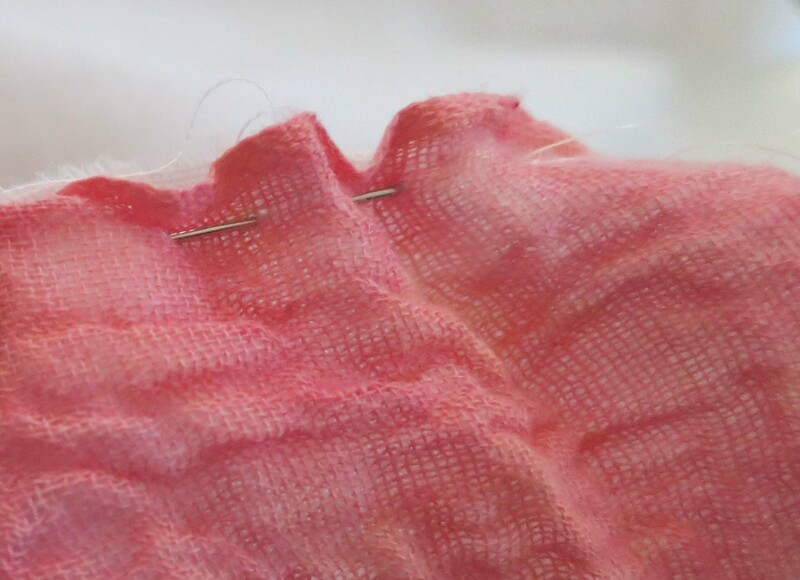 So, the first stage is to tack it to another piece of cotton – one that’s slightly heavier. So how big will this be? When finished it will be just under 1 metre square.